CRANK SHAFT GRINDING MACHINES Crank shaft grinding with new technologies & innovative systems, this systems will achive accurate and fast grinding in this engine rebuilding sector. VERTICAL CYLINDER FINE BORING MACHINE This modern new generation boring machines with new technologies like servo motors controlled by programmable logic controls and operating is very easy. VERTICAL CYLINDER HONING MACHINE These machines are hydraulically and variable spindle speed and feeds, you can hone the bore with any angle of hatch. LINE BORING MACHINE This line boring machines are rigid, compact and variable spindle speeds and feeds. This facility will achieve good surface finish. VERTICAL HYDRAULIC SURFACE GRINDING MACHINE These machines are very compact and rigid vibration free, also available in variable milling speeds and hydraulically operated table movements. CONNECTING ROD BORING MACHINE Con-rod boring machine is solid & vibration free structure, main advantage is speed & feed is variable, accurate tool setting in microns, and excellent boring finish. CRANK SHAFT STRAIGHTENING PRESS Easy to remove the bend stress for Crank Shafts with simple operating through heavy duty hydraulic pump. TWO WHEELER SINGLE CYLINDER HONING MACHINE These machines are specially developed for two wheeler single cylinder honing. This version of machine is developed for the first time in India. 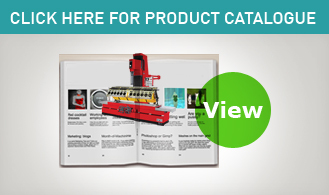 Making accurate honing, easy to operate and quick hydraulically clamping the cylinder blocks. TWO WHEELER SINGLE CYLINDER BORING MACHINE We intoduced for the first time in India for Two wheeler segments specically developed for two wheeler cylinder block boring. These machines will perform accurate boring, accurate tool set quick clamping the cylinder block. 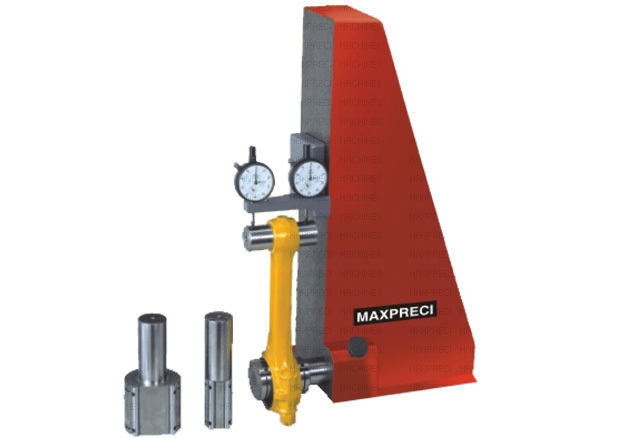 VALVE SEAT CUTTING MACHINE Maxpreci's Innovative Solution for high precision valve seat and guide cutting with automatic centering by triple air float, automatic centering system functioning on the spherical and flat airfloat cushion crossed action systems. TOOL GRINDER This grinder is developed for all our boring machines tools resharpening and for clear cutting and clearence . ROD ALLINEMENT CHECKING DIVICE For Easily bend and twist checking of connecting rods with precision dial indicators.